We obtain personal information about you if you choose to provide it — for example, to contact mailboxes or to register for certain services. In some cases, you may have previously provided your personal information to KPMG (if, for example, you are a former employee). If you choose to register or login to a KPMG web site using a third party single sign-in service that authenticates your identity and connects your social media login information (e.g., LinkedIn, Google, or Twitter) with KPMG, we will collect any information or content needed for the registration or log-in that you have permitted the social media provider to share with us, such as your name and email address. Other information we collect may depend on the privacy settings you have set with your social media provider, so please review the privacy statement or policy of the applicable service. When you register or submit personal information to KPMG we will use this information in the manner outlined in this Privacy Statement. Your personal information is not used for other purposes, unless we obtain your permission, or unless otherwise required or permitted by law or professional standards. For example, if you register to a KPMG web site and provide information about your preferences we will use this information to personalize your user experience. 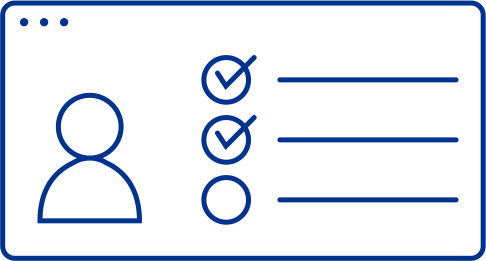 Where you register or login using a third party single user sign-in we may also recognize you as the same user across any different devices you use and personalize your user experience across other KPMG sites you visit. If you send us a resume or curriculum vitae (CV) to apply online for a position with KPMG, we will use the information that you provide to match you with available KPMG job opportunities. Your consent: in some cases, we will occasionally ask you for specific permission to process some of your personal information, and we will only process your personal information in this way if you agree to us doing so. You may withdraw your consent at any time by contacting KPMG at dataprivacy@kpmg.ua outlining the purpose for which your contacts have been provided to us. To customize individual’s online experience and improve the performance usability and effectiveness of KPMG's online presence. To conduct, and to analyze, our marketing activities. To comply with regulation or regulatory guidance. To transfer personal data between other member firms of the KPMG network for internal administrative purposes as indicated in clause 2.1. An IP address is a number assigned to your computer whenever you access the internet. It allows computers and servers to recognise and communicate with one another. IP addresses from which visitors appear to originate will be recorded for IT security and system diagnostic purposes. This information will also tipically be used in aggregate form to conduct web site trend and performance analysis. Cookies will tipically be placed on your computer or internet-enabled device whenever you visit us online. This allows the site to remember your computer or device and serves a number of purposes. We use several third party analytics tools to help us understand how site visitors use our web site. This allows us to improve the quality and content on kpmg.ua for our visitors. The aggregated statistical data cover items such as total visits or page views, and referrers to our web sites. For further details on our use of Google Analytics, see below. We do not share personal information with third parties, except as necessary for our legitimate professional and business needs, to carry out your requests, and/or as required or permitted by law or professional standards. For more information on such third parties, please see this link. In addition, KPMG will transfer certain personal information across geographical borders to outside companies working with us or on our behalf for the purposes described in this Privacy Statement. KPMG will also typically store personal information outside of the EEA. We typically send personal information to the following countries. If we do this, your personal information will continue to be protected by means of contracts we have in place with those organizations. Where applicable, outside the EEA such contracts will contain standard data protection clauses, which are in a form approved by the European Commission. In general, you are not required to submit any PII to KPMG online, but we will require you to provide certain PII in order for you to receive additional information about our services and events. KPMG will also ask for your permission for certain uses of your personal information, and you can agree to or decline those uses. If you opt-in for particular services or communications, such as an e-newsletter, you will be able to unsubscribe at any time by following the instructions included in each communication. If you decide to unsubscribe from a service or communication, we will try to remove your information promptly, although we may require additional information before we can process your request. Access and correction: you have the right to access to that data. This is sometimes called a ‘Subject Access Request’. If the applicable legislation requires us to provide personal information to you, we will provide it to you free of charge. Before providing personal information to you, we may ask for proof of identity and sufficient information about your interactions with us that we can locate your personal information. If the information we hold about you is incorrect, you are entitled to ask us to correct any inaccuracies in the personal information. You can make a request or exercise these rights by contacting KPMG at dataprivacy@kpmg.ua, outlining the purpose for which your contacts have been provided to us, and we will make all reasonable and practical efforts to comply with your request, so long as it is consistent with applicable law and professional standards. We also make reasonable efforts to retain personal information only for so long i) as the information is necessary to comply with an individual's request, ii) as necessary to comply with legal, regulatory, internal business or policy requirements, or iii)or until that person asks that the information be deleted. The period for which data is retained will depend on the specific nature and circumstances under which the information was collected; however, subject to requirements of i)-iii) above, personal information will not be retained and, in any case, no longer than required according to the applicable legislation. KPMG is committed to protecting the online privacy of your personal information. If you have questions or comments about our administration of your personally identifiable information, please contact us at dataprivacy@kpmg.ua. You may also use this address to communicate any concerns you may have regarding compliance with our Privacy Statement. We will acknowledge your email within 14 days and seek to resolve your concern within one month of receipt. Where the concern is complex or we have a large volume of concerns, we will notify you that the concern will take longer than one month to resolve, and we will seek to resolve your concern within three months of the concern being first raised. If you are not satisfied with the response you receive, you may escalate your concern to the Global Privacy Officer by sending an email to GlobalPrivacyOfficer@kpmg.com. We may accept your concern (and in that case implement one of the measures set out in the ‘Your Rights’ section above), or we may reject your concern on legitimate grounds. In any event, you always have the right to lodge a complaint with the regulator in charge of protecting personal information in your jurisdiction.